The TUC has today published a new five year international development strategy, setting out how it plans to use members’ money and grants from the government and other organisations to raise wages and improve rights for some of the world’s poorest workers. Unions are already tackling poverty pay and exploitation at work all over the world. Our new strategy takes the lessons unions have learnt in Britain – about vulnerable work, the need for a voice in the workplace, and equal rights for women – and shares them with unions in the global south. In turn our unions in the UK learn from their experience and knowledge, for example on organising in the informal economy. Our plan as UK trade unionists, is to assist workers in countries like Iraq and Zimbabwe and help them build democratic states and institutions. We want to help reduce the spread and stigma of AIDS in sub-Saharan Africa, and plan to use events like the London Olympics to persuade major multinationals to make sure no worker involved in supplying goods for 2012 is badly treated. ensure international trade and investment promote decent work. Decent Work is a key route out of poverty and is a key Millennium Development Goal (MDG1B). This is a term developed by the International Labour Organisation (ILO) which has developed a set of core labour standards – freedom from child or forced labour, freedom from discrimination at work, and freedom to join a union and bargain with employers. 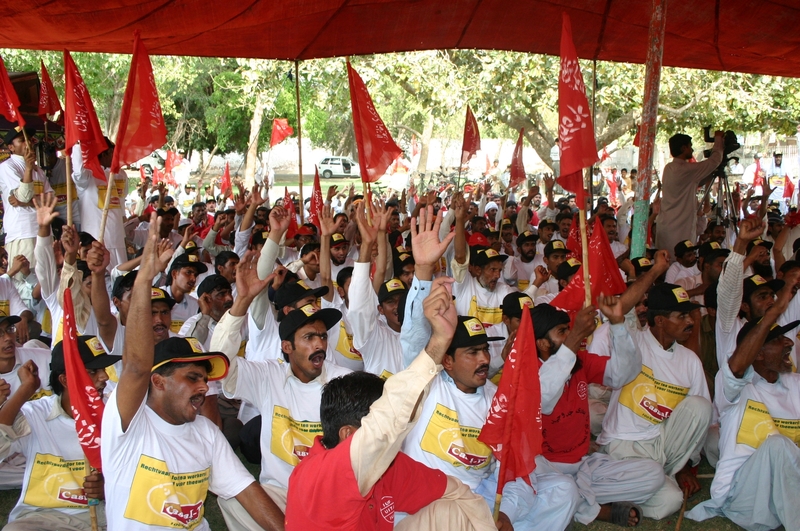 Trade unions know that these are vital to any sustainable model of development. Rohini is probably the youngest union General Secretary in the world, and at just 18 years old, the union he heads, the Nepal Independent Domestic Workers’ Union (NIDWU), is increasing its influence with support from the TUC as part of a global fight for rights at work for domestic workers. The union was only set up a few years ago, but already it has almost a thousand members. Unions like NIDWU need support in building their capacity to win for their members, lifting them out of indignity and poverty. Trade unions have a proud record in global justice and international development; this strategy will ensure that we focus our efforts on the issues, partners and countries where we can make the most difference to the billions of people around world living in poverty. The TUC’s new international development strategy 2011-2015, “Global solidarity, global justice”, is launched on Thursday 9 December. Huhne can easily stay in Cancun: Call Ming or Charles!